Lafayette Interior Fashions® is a custom window treatments company with all items crafted in the USA. 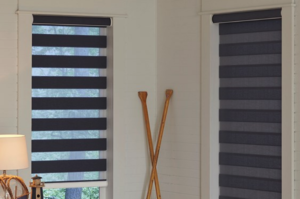 From custom blinds to shades to drapes, Lafayette has a variety of bold and beautiful modern custom window treatments. 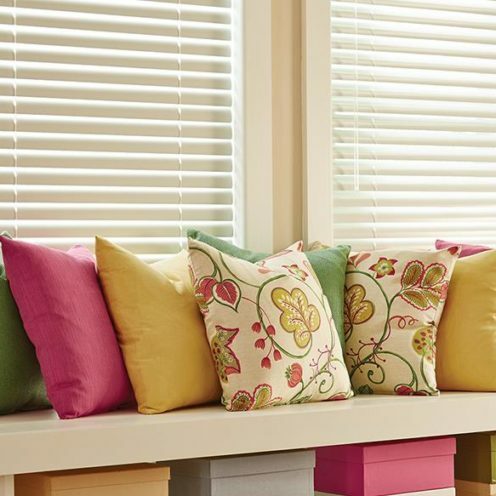 B. Burton Custom Décor is New Hampshire’s premiere provider of Lafayette custom window treatments and window décor. We can help you pick exactly which Lafayette Interior Fashion is best for you. We know you’ll love the variety of choices Lafayette offers. From aluminum to wood to sheers, not only does Lafayette offer a variety of materials, they also offer an array of styles. Some styles include, but are not limited to transitional shades, roman shades, rolling shades, cellular shades, sheers, and even panel options. 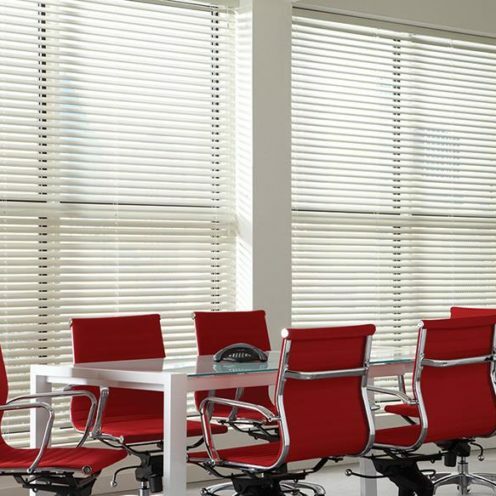 Lafayette Interior Fashions also offers motorization and home automation options for their blinds, shades, and slats. We know that with all of these options on the table, it can be hard to decide. Not only that, it can be hard to choose a shade that offers you all of the options you want or need in your space. That’s where our come-to-you service comes in. 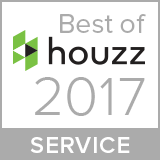 We’ll come to you to help assess your space and discuss with you, one-on-one, what your unique design needs are and how we can help you achieve your design goals. These beautiful shades offer a custom, unique look with an exotic touch. These shades are made from natural materials such as bamboo, reed, bark, grasses, and more. Lafayette’s Allure® Transitional Shades transform natural light into the best lighting for your room. 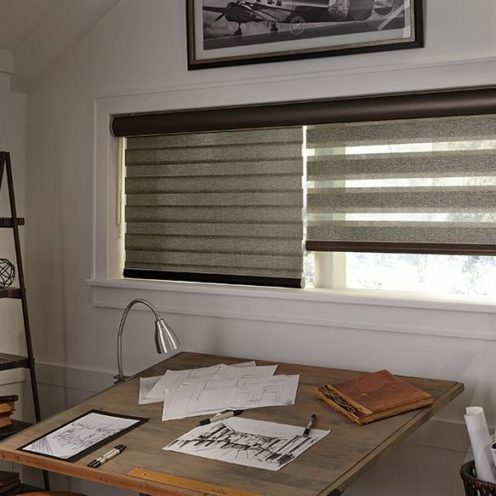 These shades offer both privacy and light filtering properties to afford you maximum versatility for your window treatments. 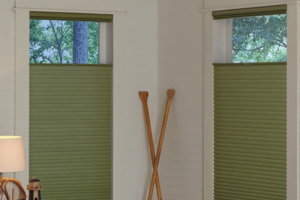 Possibly the most versatile of Lafayette’s product line, Parasol® Cellular Shades offer a variety of colors, styles, and textures to meet or exceed any design project you may have. These shades were meant to cover large and unique window shapes and sizes.